If you have watched our video on AR Platform Charging Handles you will know that there are a few good options on the market for an ambidextrous handle, but no great ones... or is there? We will soon find out. 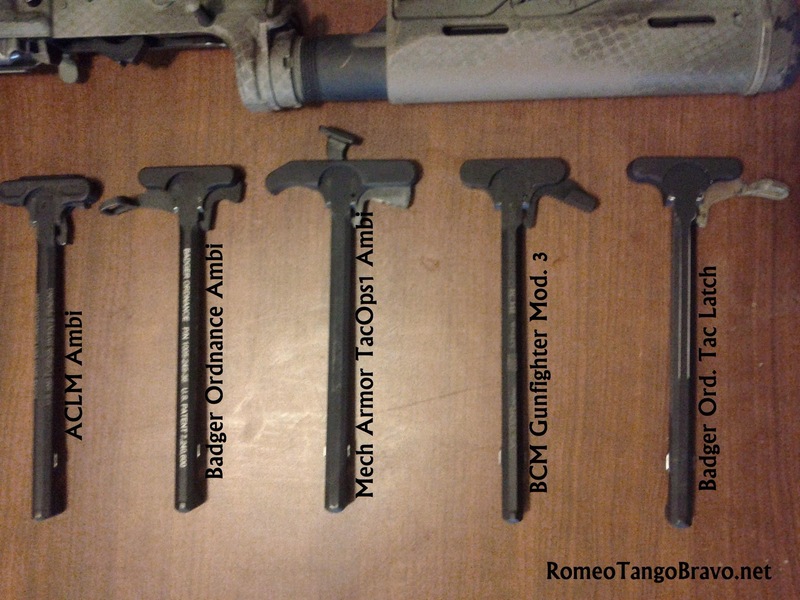 The folks over at Mech Armor Defense Systems Inc. have sent me one of their TacOps-1 Charging Handles to test and evaluate. I will be heading to the range this weekend to put it through its paces. You can expect a full write-up once I am complete. Above is a quick cell phone picture of the TacOps-1 flanked by the "competition".